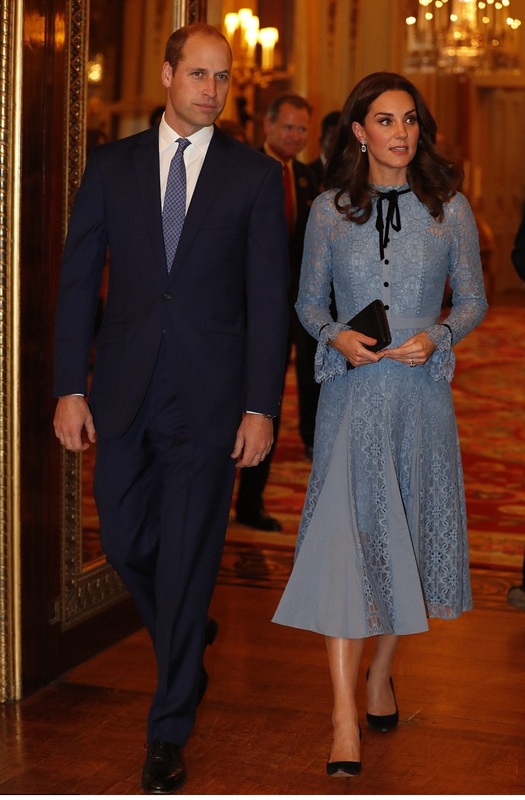 The Duchess of Cambridge revealed a tiny baby bump last night as she made her first public appearance since announcing her pregnancy last month. 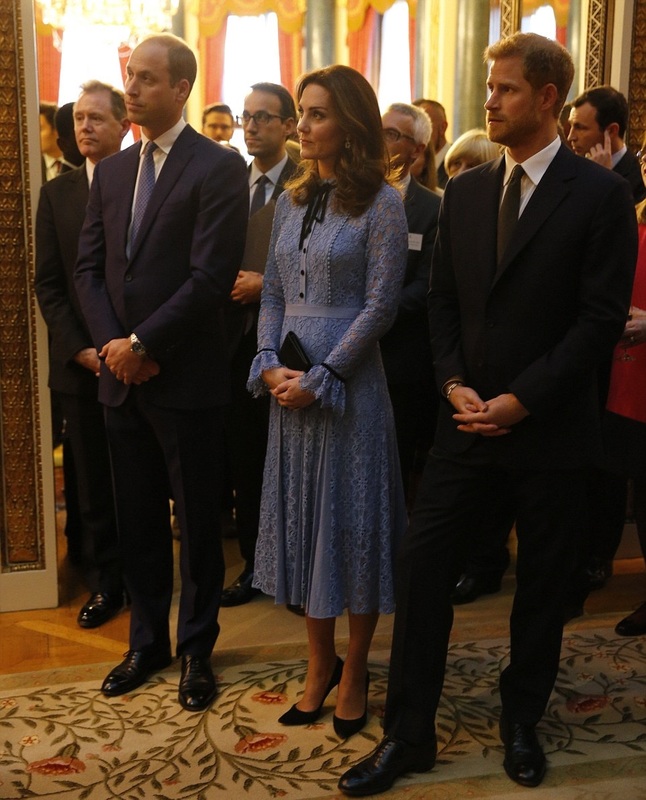 The 35-year-old royal, who has not been seen in public since August 30, joined Prince William, 35, and Prince Harry, 33, to host a glittering Buckingham Palace reception to mark World Mental Health Day. 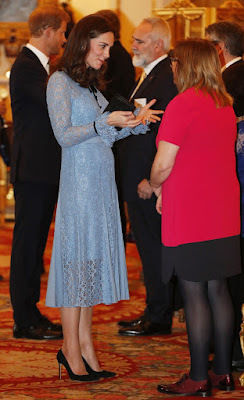 She looked radiant in a £795 powder blue lace dress by Temperley London which skimmed over her bump.